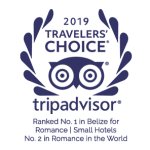 Announced annually, TripAdvisor’s Certificate of Excellence recognizes hospitality businesses that consistently deliver outstanding service across the world. Businesses that have received a Certificate of Excellence for five consecutive years earn the Hall of Fame honor. 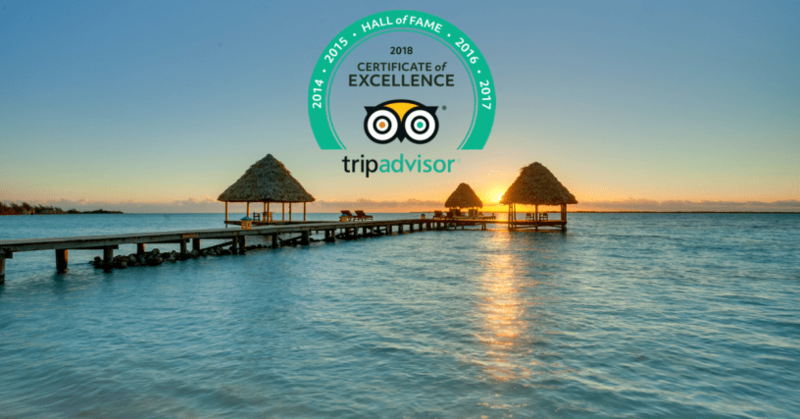 Coco Plum Island is excited to announce that because of positive reviews posted by our wonderful guests for over 10 years, we have made the Hall of Fame twice. The management and staff of Coco Plum Island Resort are passionate about providing superior customer service. 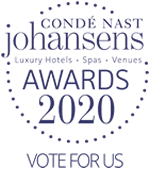 This award is our confirmation that our guests really do feel loved from the very start of their journey with us. I told my husband that this must be what George Clooney feels like. Coco Plum was a beautiful, almost private, adult only island that exceeded our expectations! No detail was over looked. The staff was just wonderful and treated us like family (maybe even better). Yes that’s right, from the moment you contact us, you become family, and of course “family takes care of family.” After encountering the wonderful Reservation team (all Belizean locals), you’ll want to start packing your luggage right then and there! Of course, since you booked this vacation six months in advance, you’ll have to settle for a countdown calendar sending you daily reminders of how soon you’ll arrive in paradise. Before you know it, the day is finally here. You arrive in Belize and feel that fresh Caribbean air as you step off the plane. Getting through the only international airport in Belize (airport code: BZE) is relatively simple as it’s a quick and organized process to catch your local flight to Dangriga Town, which the Reservation team has pre-arranged. In no time you’ll be flying along the shoreline of the Caribbean Sea on your short 20 minute flight via Maya Island Air. You’ll be greeted by warm smiles in Dangriga Town, then en route to your island retreat via boat. As you approach the island, you’ll see the coconut trees swaying in the wind, and what seem to be small dots slowly transitioning into people awaiting your arrival. As you get closer to this island paradise, you’ll notice that you’re surrounded by the most enchanting blend of blue-green crystal clear water. You’ve arrived and are immediately greeted by smiling faces, a cold towel, and a fresh tropical drink. I’m going to review, but want to start with saying words will not do this place or its staff justice. Just book a trip – it will be the best thing you’ve done! Everything is taken care of and it starts with the smiling, singing gentleman that picks you up from the airport. Then a lovely short boat ride to the island when you are greeted with fabulous cold drinks. The island is beautiful! You feel like it is your own private island. Whether you are celebrating a honeymoon, anniversary, family reunion or even visiting for a wedding or solo vacation, you won’t be disappointed. Knowing that your every need, both seen and unforeseen is taken care of – is what we do best. For example, one of our return guests missed their connecting flight to Belize and flew to Cancun instead. As you can imagine, these guests were in a bit of a panic and needed help. Our Reservation team kept in contact with them to ensure they arrived safely in Belize, found a place for them to spend the night, and booked their flights the following day to get to the island. Feeling a sense of relief after arriving, they praised our Reservation specialists for the love and dedication shown to them which is more than often lost by other businesses. Not too long after, these amazing guests were fishing off the docks of Coco Plum Island! All was well in the world again. Alex is also an avid mind-reader and will bend over backwards to do anything for you. We appreciate each guest who took the time to write their story on TripAdvisor for all to read. Our relationships with our wonderful guests and our top of the line staff make the Coco Plum Island experience unforgettable. This award is a reflection of the hard work, fun, and dedication that we put into what we do and it shows by the thousands of positive reviews. TripAdvisor acknowledges that our guests genuinely enjoy their stay with us and we are so very proud. We say thank you from the bottom of our hearts. We’d also like to congratulate our sister resort, Belizean Dreams Resort, for receiving the same great honor. You can surely experience the perfect combination of jungle and marine tours with our Inland and Island package. Now, isn’t that the best of both worlds? Come find out! Start your journey to Island living with a little reading – we have over a 1,000 TripAdvisor reviews written by travelers just like you. Then go ahead and follow our Facebook and Instagram pages. We are sure you’ll start to eagerly await updates from our little island paradise. Contact us today to book your Belize all inclusive package.